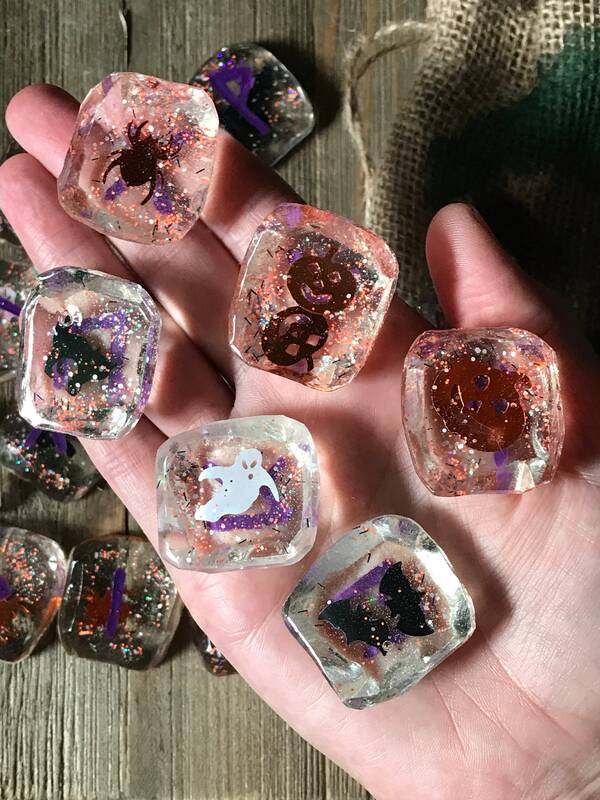 This deliciously unique set of Ice Runes was handcrafted by me. 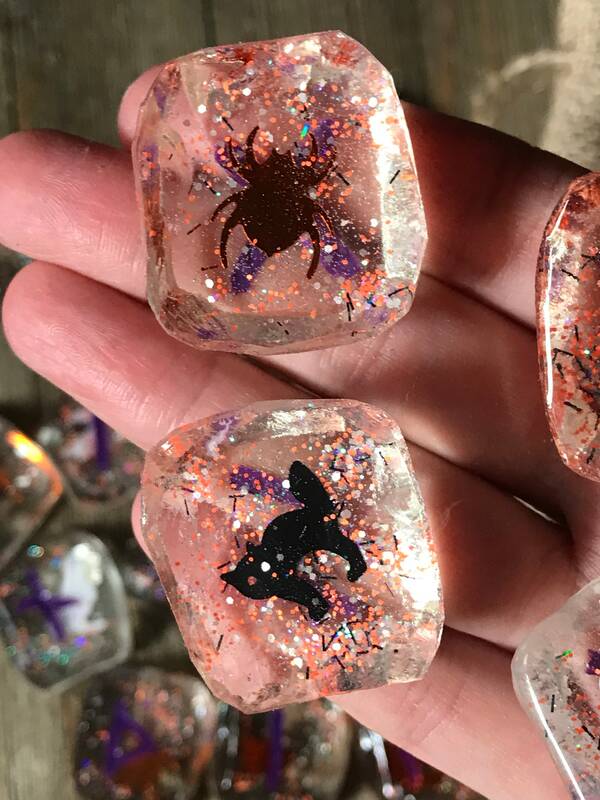 You will find no other runes like this anywhere! 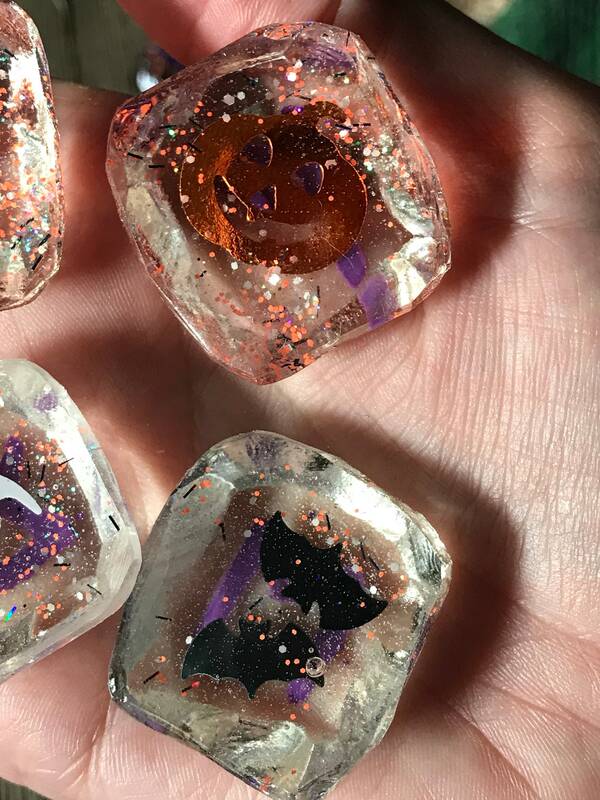 This set is a limited edition Halloween set featuring large glitter cutouts of spiders, ghosts, bats, cats, and jack o’lanterns. 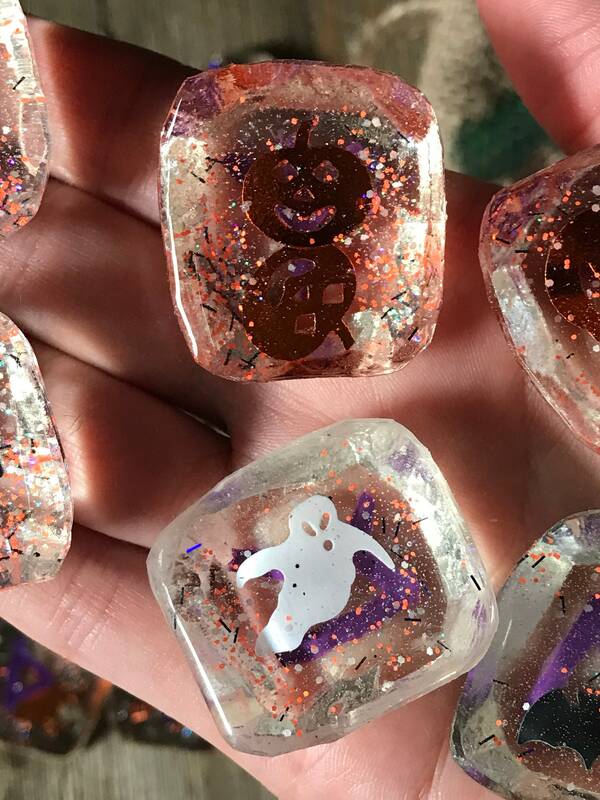 Also featuring small, sparkly glitter in orange. 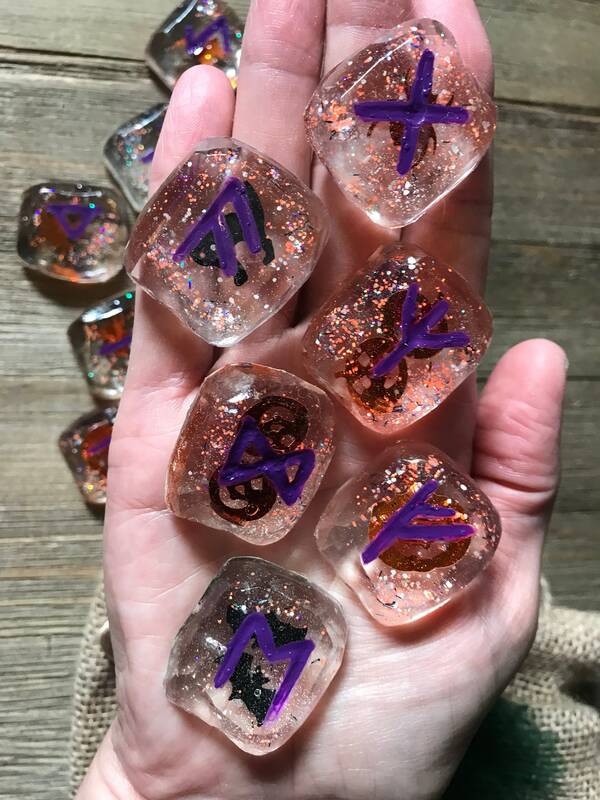 I have carefully handpainted the rune symbols in a deep, coordinating purple. 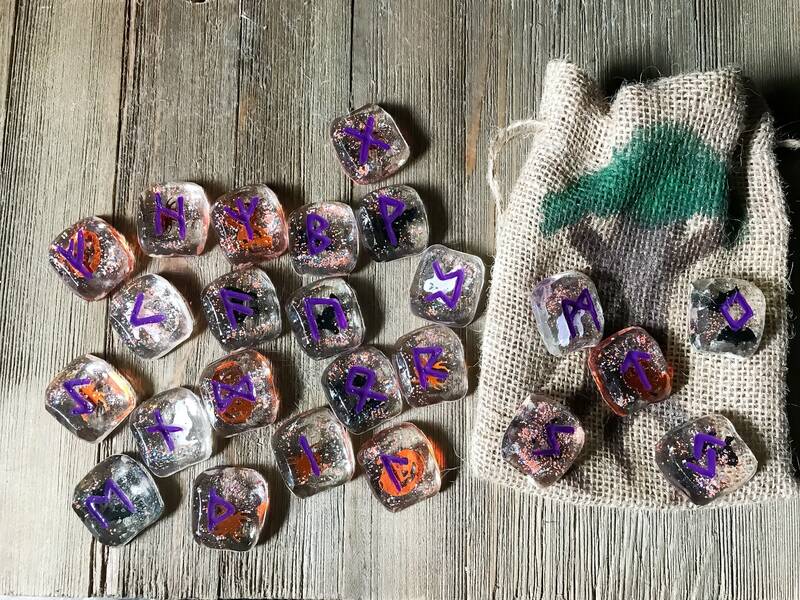 They will come in a handpainted burlap bag featuring Yggdrasil.